From Mrs. Wendell Paul's guide About Antique Postcards "An actual piece of aluminum was used as a postcard. It is slightly narrower than standard, and usually features a printed view. 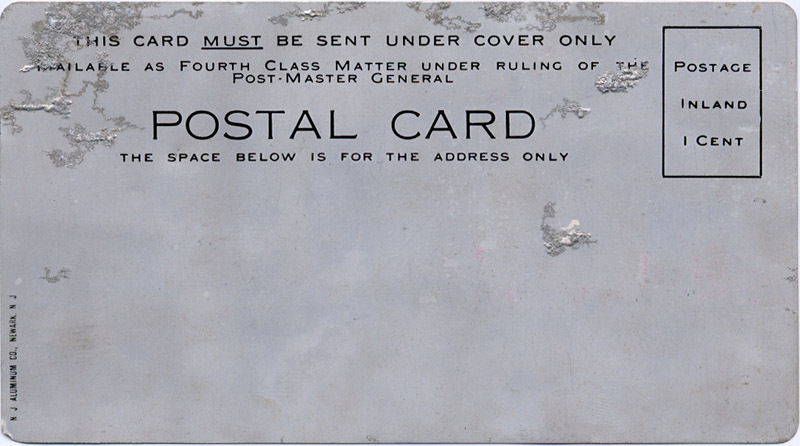 Postal regulations required that this metal piece be enclosed in a transparent envelope for mailing but the address, and sometimes the stamp, is directly upon the metal." 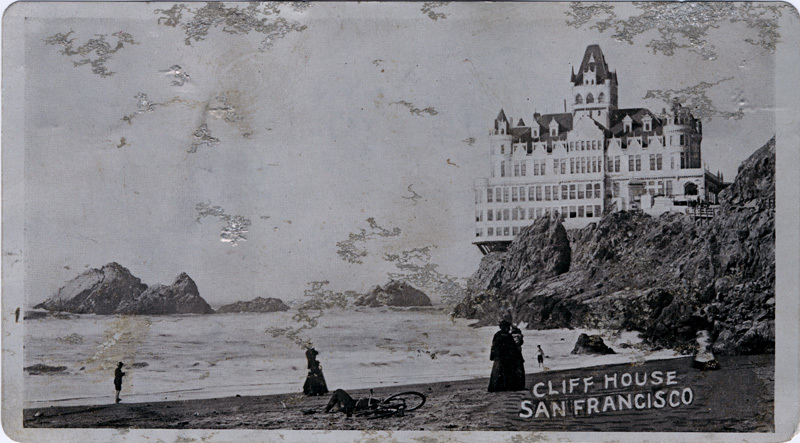 According to Lew Baer aluminum postcards were mailed in glassine envelopes, were very subject to bending and metallic deterioration, and were true novelties of the day. 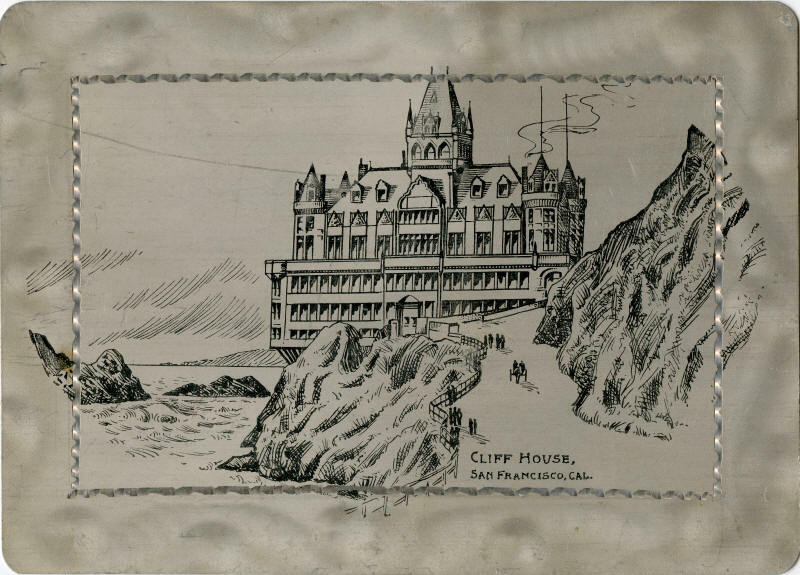 "CLIFF HOUSE, SAN FRANCISCO, CAL."